Charming home walking distance from Beautiful Beach and quaint Downtown 'Old Rockport', along Oak lined street. Beachgoers delight. Rockport is the Fishing Capital of the Texas Gulf Coast. Catch everything from Redfish to Shark. Was so sad to see Harvey’s impact on Rockport but Rockport is definitely ON THE MEND! -kitchen completely stocked, even has a juicer! 3rd Time, More than a Charm! This was my 3rd time to stay at his fantastic VRBO home. Easy, easy, easy! Life is easy here, as it is relaxing, as it is being totally comfortable. When you travel, and especially when you arrive very late after a grueling day, to be able to walk into a home that is totally comfortable not only in eye appeal, but also to temperature and humidity, well...it is easy as breathing. This is a home not a house, and you feel that when you walk in. It just beckons you to kick off your shoes, relax and stay a while. The subdivision is also a gem. Large oak trees, big yards, well seasoned homes; it all just continues to paint a peaceful getaway. This is an older part of Rockport, but it is rich with warmth, not cold, sterile, or run down. I park my boat in the driveway and have no fear leaving it for the day. There is a large back yard and a small patio to relax on in the cooler months. The owner really cares to offer a high quality, clean product. Everything is furnished well, nothing old or run down. 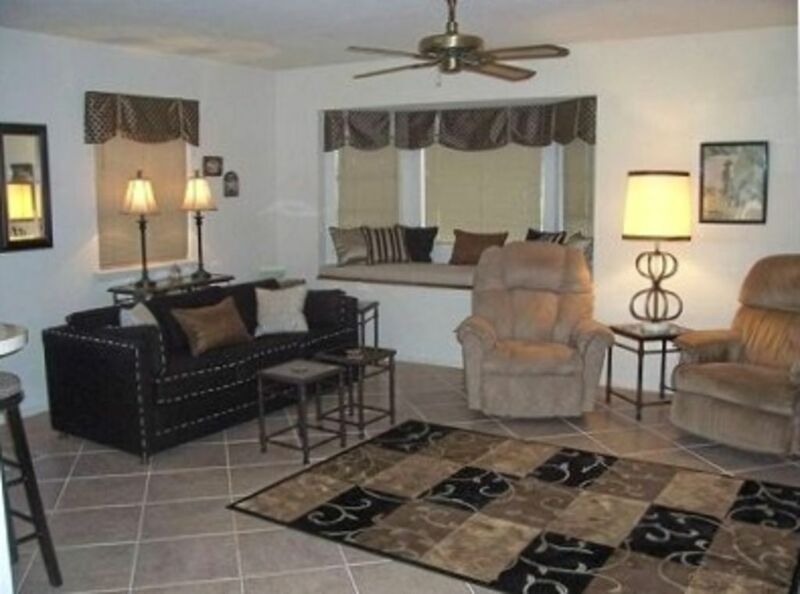 The property management company is always a phone call away and are very hospitable. Everything in Rockport is a close 5-7 min drive away-groceries, restaurants, shopping, and fishing. Goose Island State Park is 15 min away and the Gulf beach is 25 min and a ferry ride. Great seafood all around. Every time I come down to the coast to fish, which is almost monthly, this is the first property I check for availability. I will always come back to this home. right off the back slider, with a patio and gas grill. and comfortable, just bring food and your ready to enjoy. We have already made reservations for next year. comforts of a home,for the same price as a hotel room. Thanks, for your wonderful comments. Please visit us again in the future.